Fancy Spanish? We’ve made your life easier and put four essential paella ingredients together. 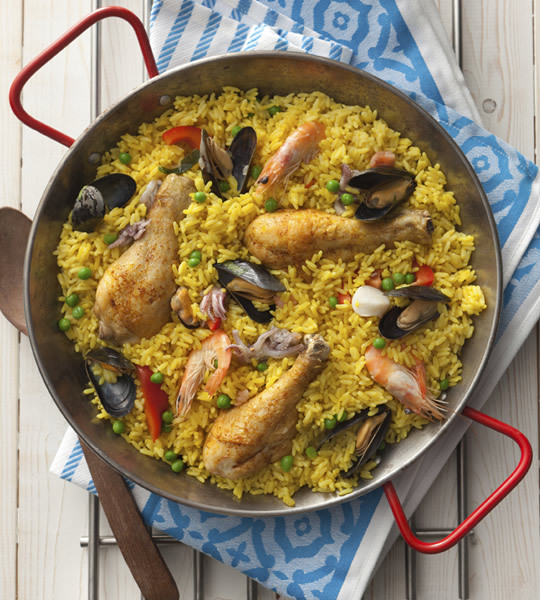 What’s more, we’re giving you a FREE Brindisa paella pan worth £9 when you buy them together. Wide and flat, this pan is perfect for even cooking. Simply follow this link, put all four products in your trolley and add the paella pan. We also have the perfect paella recipe for putting your pan and ingredients to good use. Order by the 21st April, but hurry – the pans are going fast. This entry was posted in Talking Ocado and tagged Bundle, offers, paella, Spanish by Ocado. Bookmark the permalink.